2nd November 2013. 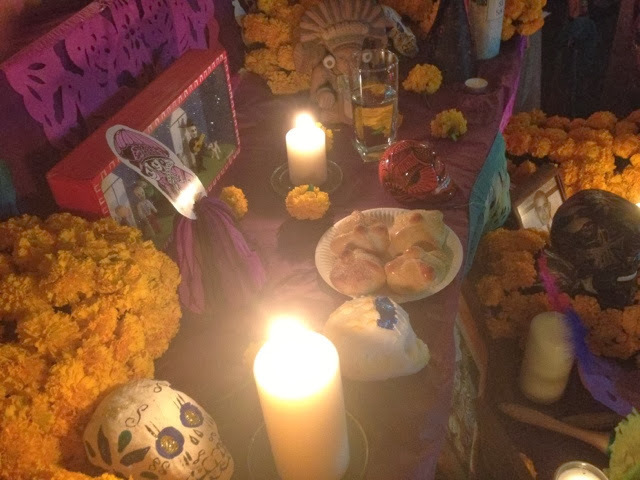 Celebrated with the Latin Americans in Singapore this special day, The Day of the dead also known as Dia De Los Muertos. 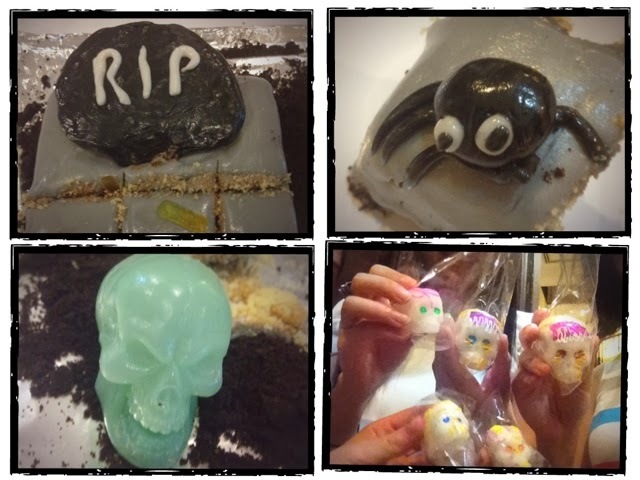 Its always in conjunction with Halloween which falls on 31st Oct 2013. 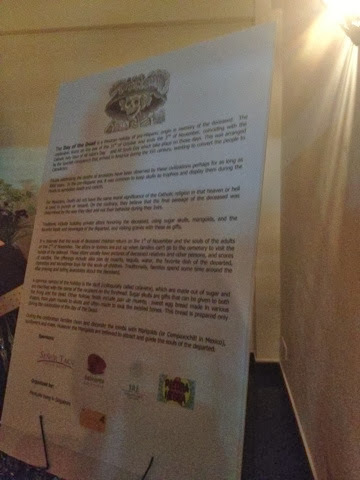 You can check out how it is actually celebrated in the entry I wrote when I was in Mexico a few years back. This is like our 清明 but in a more extravagant manner.But the purpose is the same which is to remember their deceased love ones. 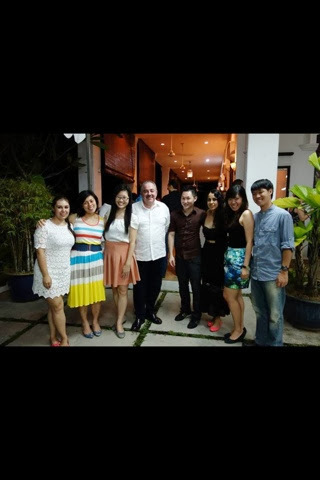 Just as how the Latin Americans community is well-known for its closeness and also their friendliness, the Ambassador for the Latin American community opened his house for this gathering. 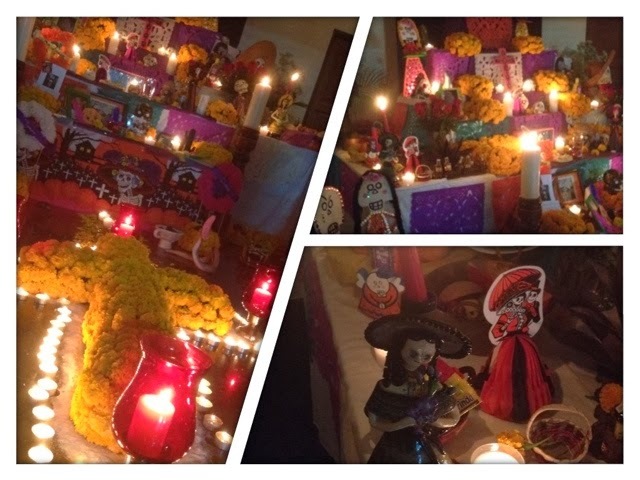 This invoke all the traditional Day of the Dead elements, re-creating a Mexican village whose paths are lined with marigold-strewn altars created by local artists to remember loved ones who have died. Mariachi and salsa tunes will fill the air, with the promise of a spin around the dance floor with the flirtatious, fabulously dressed skeleton. 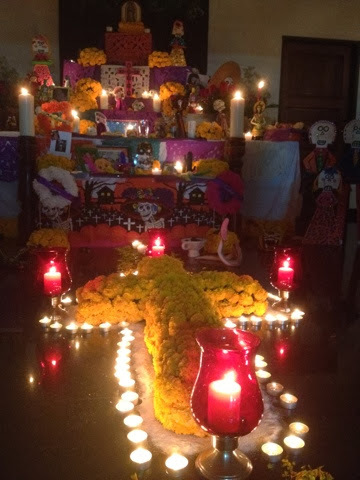 Honoring the dead with gifts of sugar skulls, chocolate, marigolds (the Mexican flower of death), sweetbreads and trinkets, families also typically visit graves to deliver the ofrendas, or “offerings,” and hold vigils with candles and photos. And the skeleton is known as La Catrina (In their mexican fiesta dresses). 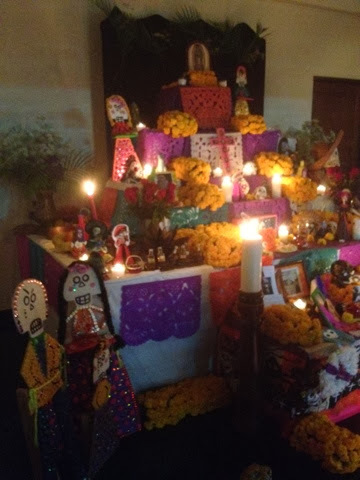 "Catrina has come to symbolize not only El Día de los Muertos and the Mexican willingness to laugh at death itself, but originally catrina was an elegant or well-dressed woman, so it refers to rich people," de la Torre said. 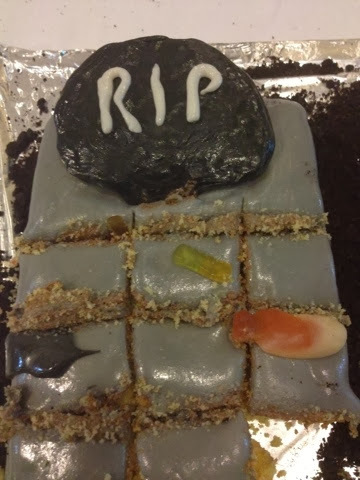 "Death brings this neutralizing force; everyone is equal in the end. Sometimes people have to be reminded." 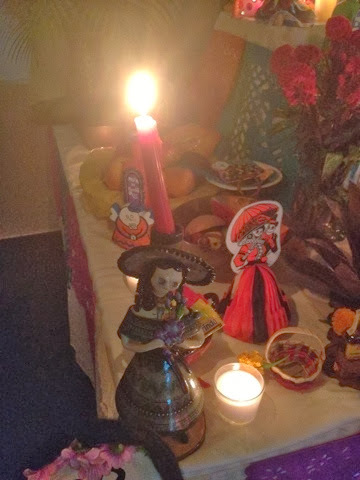 There's also some who said: According to the legend, La Catrina was a selfish, greedy rich woman who did nothing to help the poor. Many now mock her every year by dressing in ornate garb, painting their faces white and detailing features to look like a caricature of a skeleton. Well, depends on which one you prefer to believe. 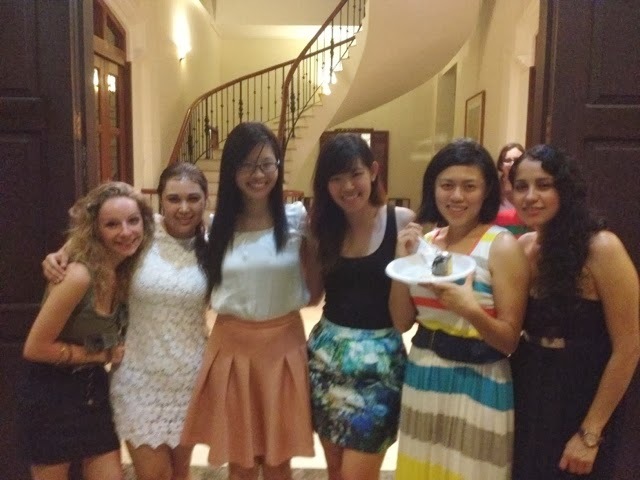 And the amazing hosts baked cakes for this occasion and we had catered Mexican food (which I did not take pictures because I was too hungry) - there were Frescas -Jamaica (Hibiscus Drink), Tacos, Leche con Arroz (Sweet milk with rice), Frijoles (My favorite beans) and many more. 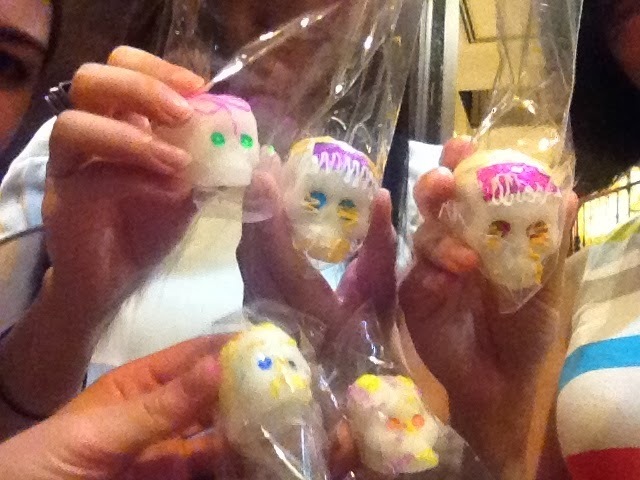 To end off this splendid night, the ladies were all given sugar skulls. And a photo with the Ambassador.